You already know how to do a DIY at home manicure. But I bet you sure don’t know how not to do one, right? Don’t take off your old polish. Just coat the new one on top. Ain’t nobody got time for nail polish remover. Don’t forget to paint your nails on the new white sofa. Be sure to set your open nail polish bottles on the couch cushions too. Oh, they won’t spill. Don’t look to Pinterest for nail art design ideas. Those girls are all either professionals or have way way too much time on their hands. All of it is too hard, trust me. Let the pros stick to what they do best. 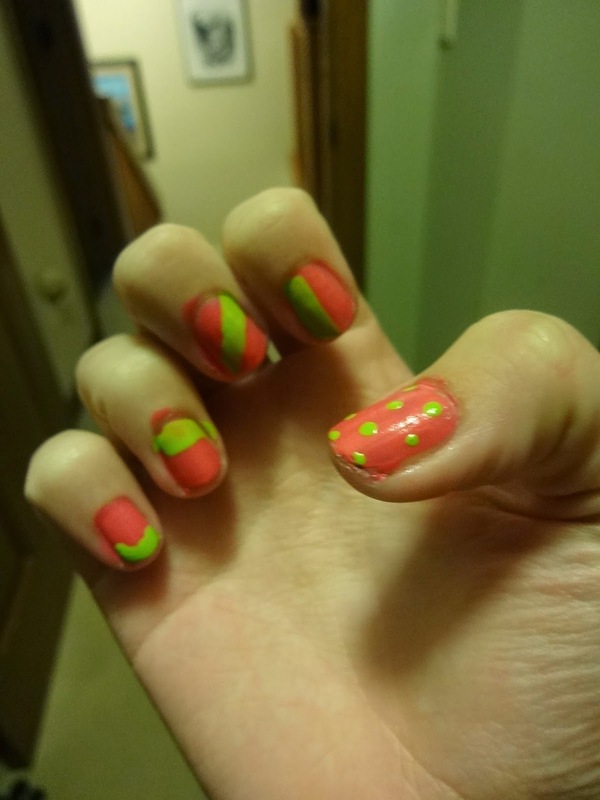 If you do want to do a nail design, don’t put tape on your nails, like the instructions say. Just paint the other color on freehand style. Be free man, don’t let the tape hold you back. Don’t use a base coat. Especially if you’re using orange nail polish. When you take off your polish, you’re in for a fun surprise. Don’t take your time. Just dip each nail in the bottle. Get some polish on your skin? Whatever you do, don’t clean it up. Leave it on your skin. That’s the new trend. Don’t wait for your nails to dry all the way. Start mowing the lawn or take your dog for a walk and then pick up dog poop immediately. 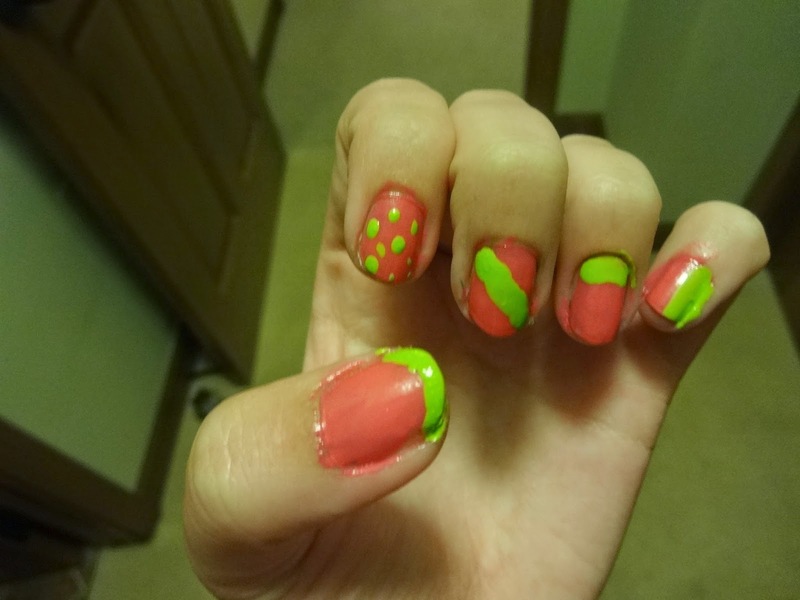 Better yet, don’t forget to use a top coat while your nails are still wet so the colors will run together. Mmm grey. Don’t take quality pictures of your manicure while holding the nail polish bottle. Just make a creepy claw with your fingers and take a blurry photo of that. There you go. Now you know how not to paint your nails.